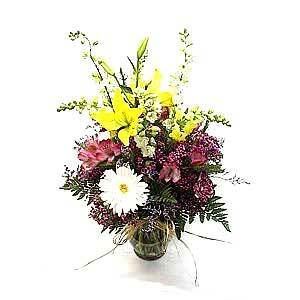 This "just picked" vase arrangement features gerbera daisies, snapdragons, larkspur, waxflower, and limonium. Approx. 26"H x 20"W.